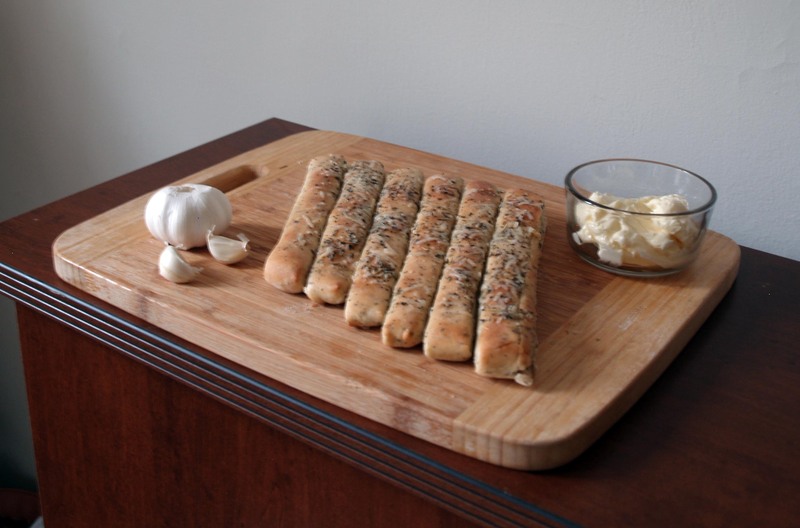 Garlic Herb Breadsticks | I Wanna Bake! Have you ever been in the position of reeeeeally craving a particular food, but not wanting to exert the effort of leaving home to get it, much less cooking it yourself? For Josh and me, this happens with garlic breadsticks at least once a month (somehow my focus has shifted in recent years from bread formed into knots to bread shaped like sticks instead). Often, this results in at least half an hour of waffling between sucking it up and going out and wistfully giving up on them. The thought of making them from scratch almost always crosses my mind, but I usually toss it aside as too much effort. This time however, I decided to accept the challenge with gusto. I was originally going to make baguettes this week as part of my Great British Baking Show companion series, but the idea just wasn’t really thrilling me. In a search for inspiration, my mind went to wandering through all the possibilities that free-form quick breads and bread sculptures could have. It eventually landed on two definite winners: the first was a secret endeavor to be revealed at a later date (Mystery! Intrigue!). The second, likely brought on by a hidden and at-the-time unsated craving, was garlic breadsticks. I’ve been puzzling out the best way to make these for awhile now, and I had already decided that pizza dough would be a good base to work with. Breadsticks should be slightly chewy, but still have lots of little air pockets. Since you often find them in Italian eateries, it’s likely that they would be made from the same dough as pizza, because working with too many different doughs at once can just get confusing. Fortunately, I came across this recipe for pizza dough, which doesn’t require any rising time, so I decided to use that as a starting point. 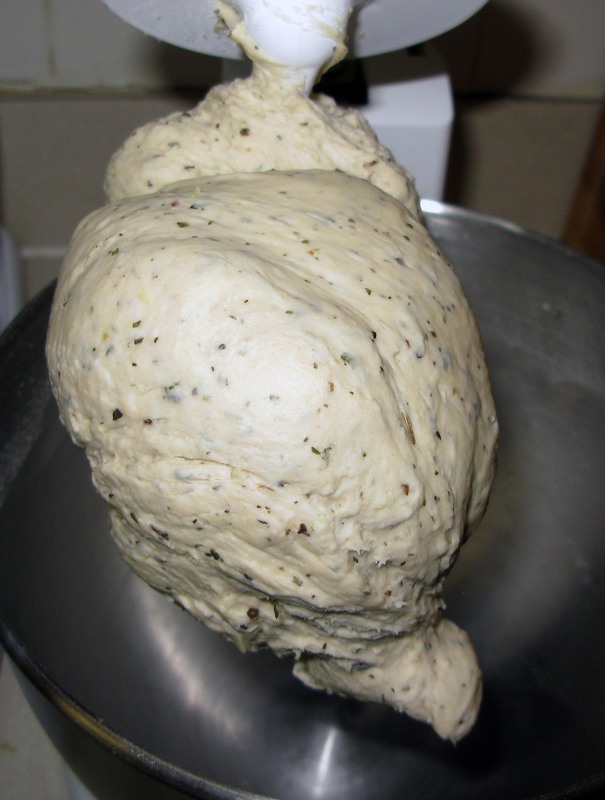 I followed the recipe’s basic procedure and ingredients, but added dried Italian seasoning and fresh garlic to the dough, as well as a butter wash and parmesan-herb topping at the very end to amp up the flavor. Just about any fresh herb of your choice would be delicious in place of the Italian seasoning, as long as you remember to mince it well. I tried two different cutting methods (scoring and slicing), as you can see in the pictures. Scoring the dough (rather than cutting all the way through) worked ok, but I would definitely stick with slicing all the way through next time. If you leave the breadsticks touching on the cookie sheet while they bake, they will still have those nice, un-browned edges on the insides, but will be much easier to separate when it’s time to serve them. This also helps to preserve their shape during baking. Lastly, don’t forget about the dipping sauce! I had tried to make it previously from butter, but it never quite mimicked the flavor and consistency of the stuff that comes with pizza place breadsticks. Don’t get me wrong, garlic butter is delicious, but it just wasn’t the same. The secret here is to use margarine. Aside from its distinctive flavor, margarine softens and melts differently than butter. This allows for your dipping sauce (or spread) to have a creamier texture, even after repeated refrigerations and softenings. It may not be the healthiest thing for you, but it really does complete the effect. Everything in moderation, right? John Mellencamp was on EVERY radio station this weekend, so I decided to double down and marathon it during this bakeventure. American Fool and Uh-Huh all the way! Josh says it all sounds like the same song, but what can I say? I like what I like. Preheat your oven to 450°F and line a cookie sheet with foil. 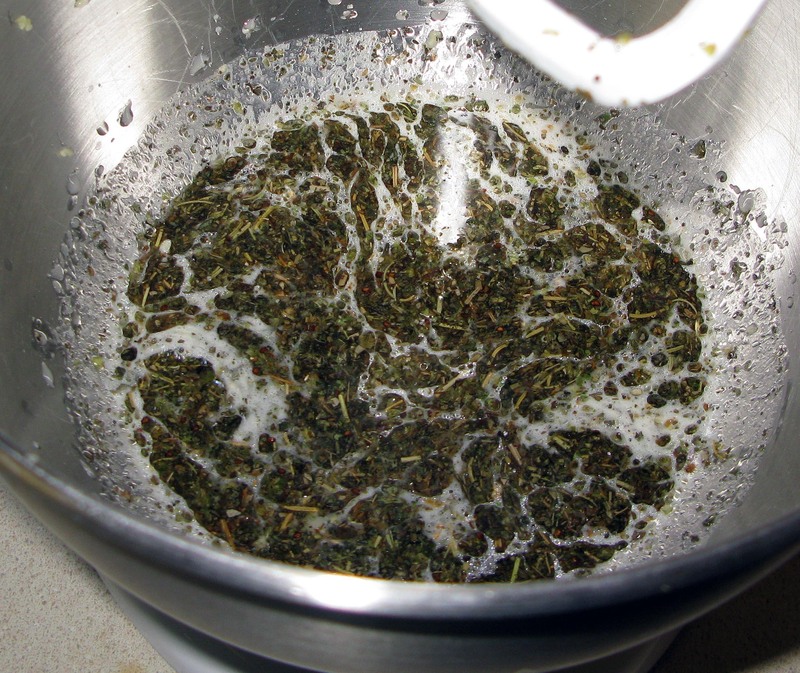 In the bowl of a stand mixer or other large mixing bowl, dissolve the granulated sugar in the warm water. 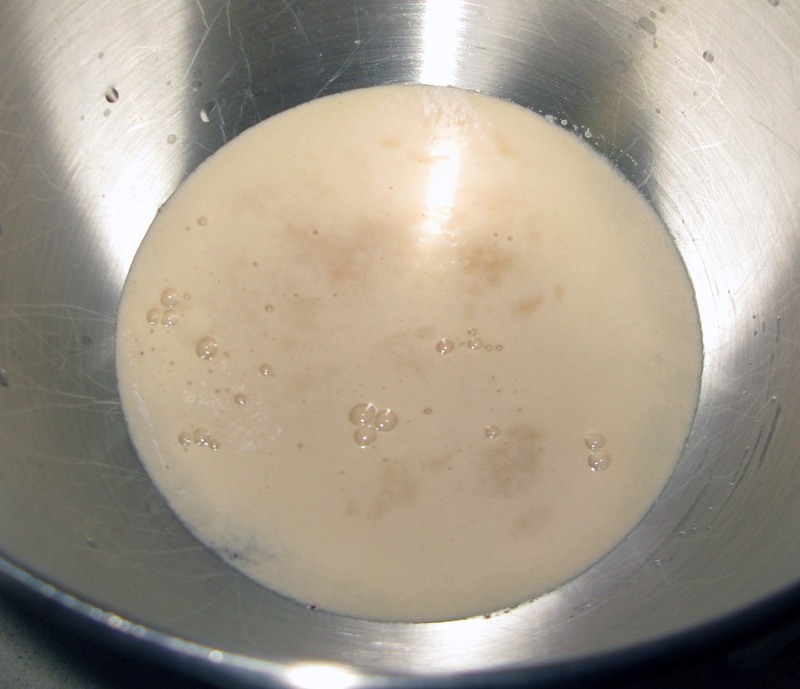 Sprinkle the yeast on top and let it stand for 10 minutes, or until the top looks creamy. Using a dough hook or wooden spoon, stir in the salt, Italian seasoning, pressed garlic, and olive oil until well-incorporated. Stir in the flour until combined, then stir 5 minutes more, until the dough forms a smooth ball. Let the dough rest for 5 minutes. 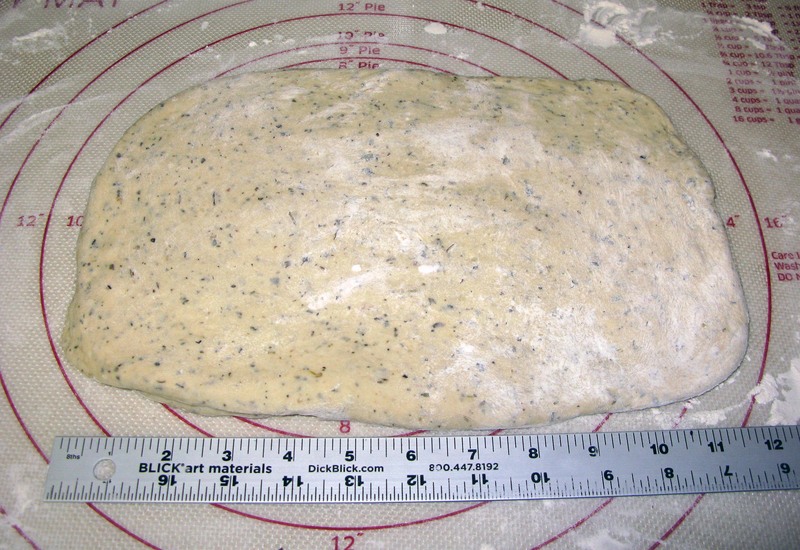 Turn the dough out onto a lightly-floured surface and roll it into a 12″ x 8″ rectangle. If you don’t feel like dirtying your rolling pin, you can do this easily enough just by stretching and patting the dough. 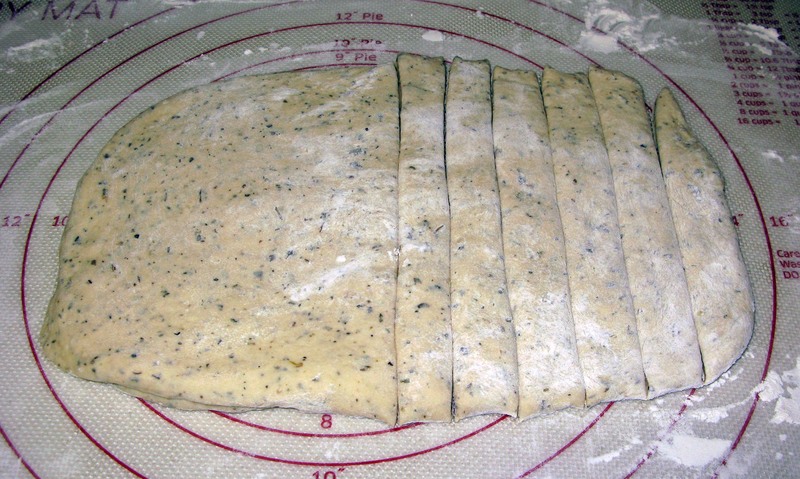 Using a pizza cutter or sharp knife, slice the dough into twelve 1″-wide strips. 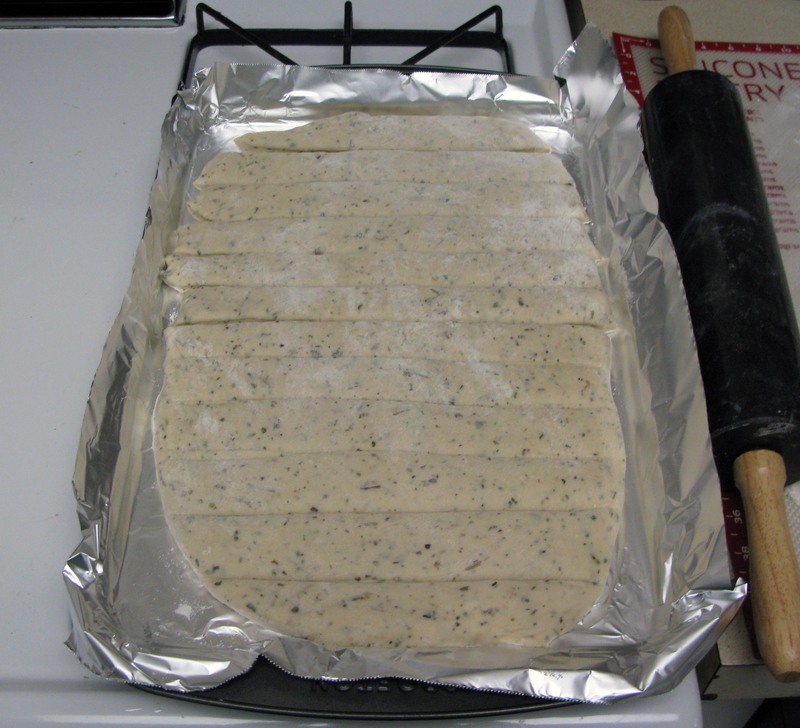 Transfer the strips to the foil-lined cookie sheet, leaving them touching on the cut edges. 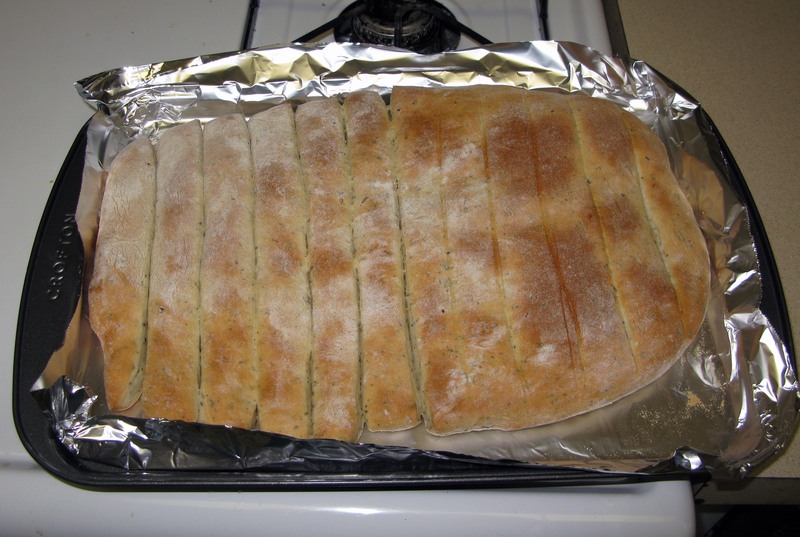 Bake the breadsticks for 15-20 minutes, or until they are golden brown. If your oven doesn’t heat evenly, turn the cookie sheet around approximately halfway through baking. While the breadsticks are baking, toss together the parmesan cheese and remaining Italian seasoning in a small bowl. In a separate bowl, stir together the softened margarine and remaining clove of crushed garlic until it forms a smooth, thick sauce. Set both aside. Remove the breadsticks from the oven and brush the melted butter across the top. Sprinkle the cheese mixture evenly on top. Bake for another 1-2 minutes, just until the cheese melts. 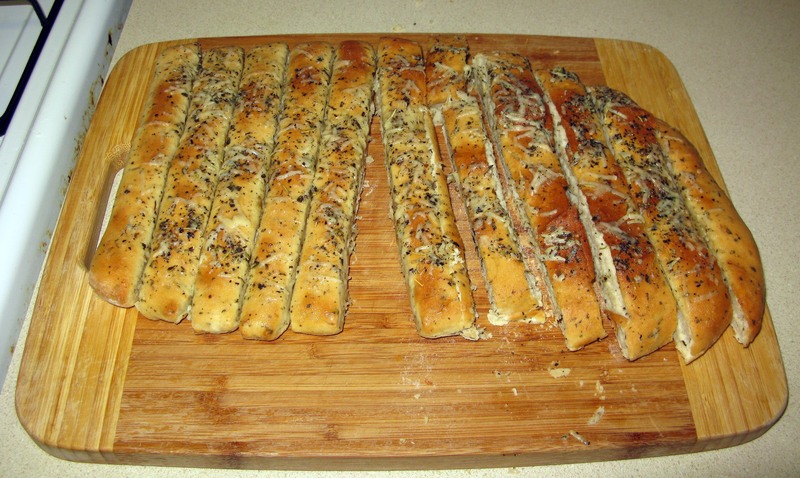 Leave the breadsticks to cool just long enough that you are able to handle them, then re-slice them. Serve warm with the garlic spread on the side. Store leftovers in an airtight container and reheat in the oven.